Board index Facebook Fridays! - Free LMCCo Product Giveaways Every Week! 2019 Facebook Fridays! It's Facebook Fridays! for April 12, 2019, and you can learn the power of herbs and roots for spell-casting and health! The Lucky Mojo Curio Co. is holding a random drawing to give away 3 educational prize-packages that will teach you how to use herbs and roots in your own down-home hoodoo practice. 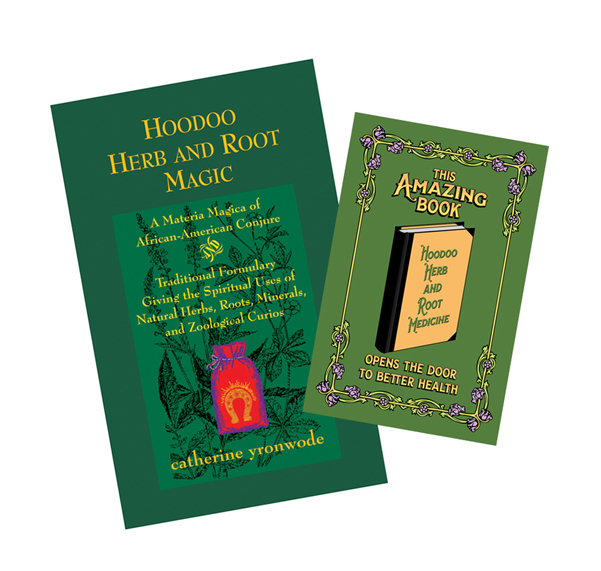 This week each lucky winner will receive a copy of Catherine Yronwode's definitive guide, "Hoodoo Herb and Root Magic: A Materia Magica of African-American Conjure," plus a copy of "This Amazing Book: Hoodoo Herb and Root Medicine," an illustrated compendium of authentic old-time herbal remedies from the 1940s, written by Sunrae and edited by Cat Yronwode. First thing tomorrow morning, we will select THREE winners at random, announce their names here, and ask them to message the Lucky Mojo Facebook Page with their mailing addresses, so we can send them their FREE hoodoo herbal tomes. Thanks for posting this, Ernie! We have a winner! In fact, we have 3 lucky winners! Our Facebook Fridays! winners for April 12, 2019 are: Dale Clark, Ryan E. Ericksen, and Malaika Mullins.